5 Filipino Buffets in Dubai – For AED 30 or Less! This Asian restaurant serves everything from Filipino and Japanese to Thai and Korean favourites. Gather your foodie friends and head to Hot Palayok Dubai at lunchtime to enjoy an open buffet, from 11am to 4.30pm. If you’re happy to fork out a few more dirhams, they’ve also got a great weekend brunch deal from AED 49. 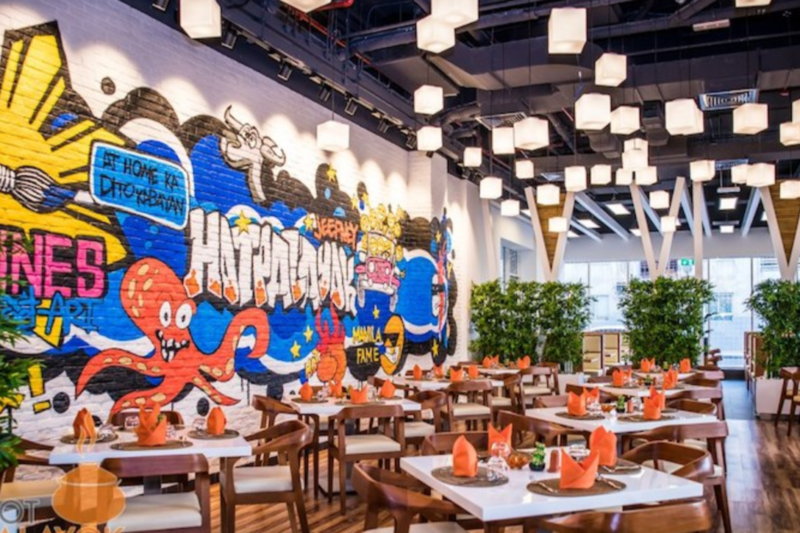 Popular for it’s sizzling chicken sisig and pinkabet – 365 Restaurant is a great place to enjoy authentic Filipino food in Dubai. They even have a karaoke room at the top! Don’t miss their daily buffet brunch deal from 9am to 1.30pm! Craving some skewers or karioka? Ortego’s Grill is the place to be! This Filipino restaurant not only has super friendly staff, but also an all you can eat lunch buffet for just AED 25! Their evening dinner buffets on the other hand will cost you from AED 35 to 39, depending on which day you visit. Ever tried out Fiesta Pinoy? This Filipino restaurant in Dubai serves authentic, value for money food (including boodle fights!) and they even have an all-day buffet for just AED 25! The place may be small, but Sweet Pepper Restaurant makes up for it with their friendly service, tasty comfort food and affordable prices! Whether you’re heading there at lunchtime or dinnertime, you can enjoy a big Filipino buffet for just AED 25 – including unlimited iced tea! Seafood lovers, you need to check this out! So technically the buffets at Pita Restaurant are over AED 30, but the food there is so good that it totally deserves a mention! The buffet will cost you AED 32, but check with them for any deals and offers. nextJumeirah Restaurant Week is Back With Bigger & Better Offers!